...even the headliner crowd surfs! 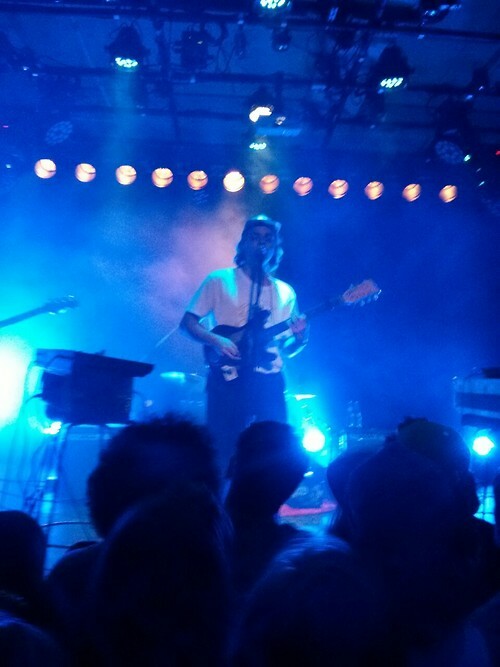 Mac DeMarco’s show at the Societe des arts technologiques (SAT) was the perfect way to spend a Sunday night, and have it feel nothing like a Sunday. Even from the openers, there was a fantastic vibe filling the venue. Everyone was there to have fun, and Mac DeMarco did not disappoint. Juan Wauters and Amen Dunes opened for him. Wauters has a very Bob Dylan-esque spirit on stage. The brassiness of his guitar was nice and a perfect way to ease into the show. Amen Dunes were completely different, more of a trance-rock type of band. All in all, the openers were good, but no one can ever steal the show form Mac. From the moment he walked on stage the crowd exploded, making it impossible for my feet to stay on the ground. He played a really good number of songs, and a decent mix from his two albums. Of course, he focused on Salad Days as it was just released last week. Every song he played was very well received. His music had the power to transform a small, awkwardly designed, venue into having a festival type feel. There was crowd surfing, moshing, and a lot of weird smells.From the crowd’s endless motion, the temperature could have easily been confused with a hot summer day. Everyone was sweating, and having a lot of fun, especially Mac. Whenever I looked at him, he seemed to be having the time of his life. This might be due to the fact that he used to live in Montreal. It was like coming back home after moving away and being met with endless love and admiration – Mac was eating it up. People were jumping onto the front of the stage, and he was pushing them back onto the crowd to surf away. All the while his music was much better than it is recorded. It was a really fun night, especially with all of the antics that Mac got up to. He was thrown bras and hats, and when his own hat was stolen, the crowd chanted for it to be returned. The best was near the end of the show, he jumped into the crowd and surfed across the whole venue – giving everyone a chance to touch him if they wanted. He even had his opening artists crowd surf in his last song. It was amazing how much of a traditional rock vibe this show had, despite the venue. Before the concert, I considered myself a causal fan of Mac’s. I had listened to his songs, and wanted to see him play. Afterwards, I know that I will always try to catch him in concert whenever we’re in the same city. 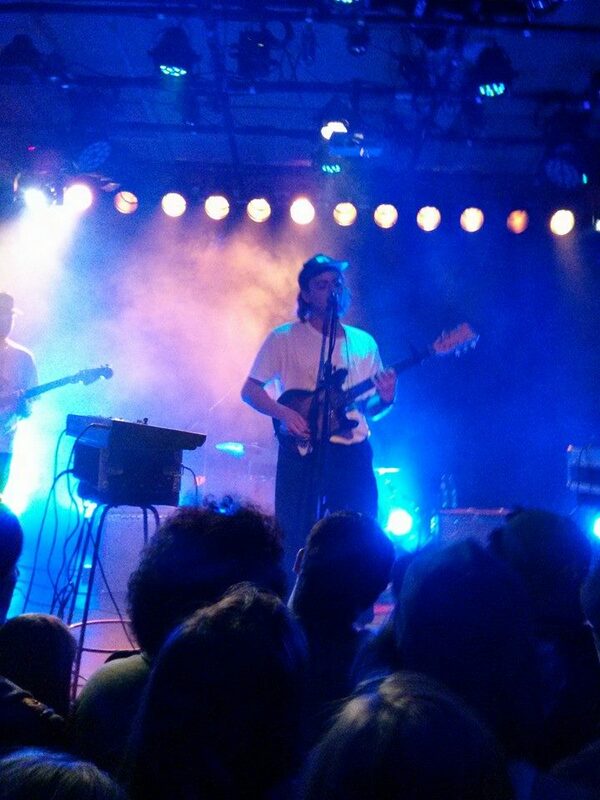 The energy and quality of music that Mac DeMarco and his band was fantastic and a must see. You left out the part where his bassist advocated domestic violence. All the reviews I’ve read seemed to have left that out. His vitriol seemed endless and was far from funny. It wrecked the show for everyone I went with and we all left soon after, which was really too bad because I was enjoying it up until that point. Really left a bad taste in my mouth.